UU A Way Of Life: Spiritual Heroes, Sr. Joan Chittister, O.S.B. Spiritual Heroes, Sr. Joan Chittister, O.S.B. Today I am starting a new category on UU A Way of Life, I am tagging Spiritual Heroes. These are people, dead and alive, who deserve our attention for they have something to teach us by their words, actions, and lives. If you have recommendations, leave send them to me at david@davidgmarkham.com, or leave them in the comments section. I have described myself as a Roman Catholic Unitarian Universalist. 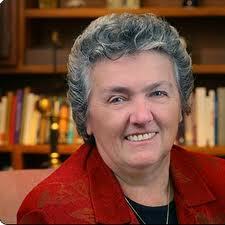 As such, one of the people I admire is Sr. Joan Chittister, O.S.B. Sister Joan is a nun in the Order of St. Benedict which is headquartered in Erie, PA. She is a theologian who has called for female rights in the Catholic Church and ever increasing circles of inclusion much to the consternation of the male catholic patriarchy. Sr. Joan is 74 and still going strong. Sr. Joan, if you read her closely, shares many of the values of Unitarian Univeralism. She believes apparently in the free and responsible search for truth and meaning. "Losing an ilusion makes you wiser than finding a truth." This is article #1 in series on Spiritual Heroes. I love Sr. Joan too. She is a true Christian not just a cultural Christian. She walks the talk. I love your new category on spiritual heroes. I look forward to future posts. If there is one thing our world needs right now, it is spirit filled people who are genuine, honest, compassionate, and who lead by living a life worth emulating. God bless you in your work on this blog. Thank you.